The girls and I have been dress shopping for about 2 weeks now! Here are some dresses and styles that I majorly <3. I print out my “finds” and bring them as examples when we shop around. 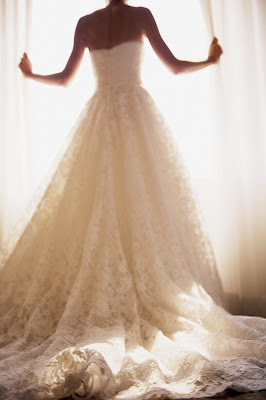 We’ve been gravitating towards Clara Rosa, Jim Hjelm, Tara Keely by Lazaro Perez, Elie Saab and Anne Barge designs. What dresses do you like? I need some help! Dress made by Emanuelle Junqueira, a Brazilian designer. It’s difficult to find information on her dresses but HERE is her contact info. This one has been a bit difficult to track down. The picture was originally taken for Amy Oram who creates her own veils and hair pieces. You can contact her at teeki_@hotmail.com to find more details about the dress in her picture. Australian designer Anna Campbell’s stunning 2012 Collection. This dress was hand crafted by Melissa Blackburn. You can contact her here. 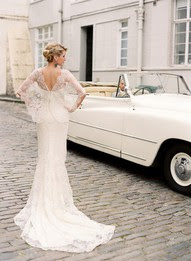 If you love these dresses and want to see more, Follow my wedding board on Pinterest. And pictures of OUR WEDDING and HONEYMOON! 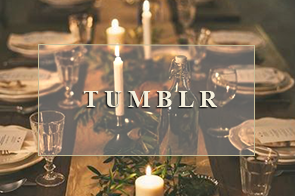 This entry was posted in Fashion, Style, Uncategorized and tagged Dress, Wedding Dress, Weddings. Who is the designer of the first wedding dress listed? Thank you! Who is the designer for the 14th dress?! It is beautiful!! obsessed with the short sleeve dress with pockets! you have immaculate taste! Do you have the link or name of the designer who made the second to last dress? 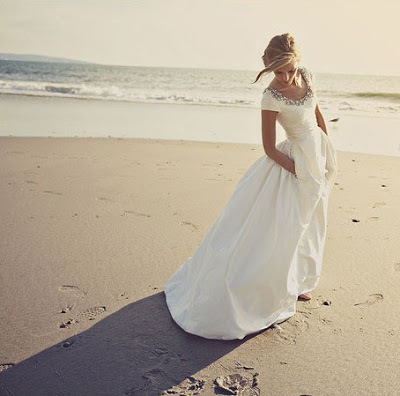 The one with the bride on the beach/sleeves/pockets?? I loooove that one. I agree…I LOVE that dress! It's so beautiful! The designer of the 14th dress is Justin Alexander (#8557). Beautiful choices. Hate to be a pest, but would you mind sharing info for number 4,5,6 and 8? please list the designers for these. (4) So Sorry I can't find the designer of this dress. I found this picture on Pinterest and the original pinner didn't list a designer. (5) Style number 2450. Exclusive by Allure collection from Allure Bridals. I love #16!! Anyone know the designer?? Hey Becky, 16 is Anna Campbell's stunning 2012 Collection. Anna Campbell is an Australian designer. Who is the designer for #7? I love the entire look! so classy – you have great taste in dresses! Who is the designer for dress # 12? Could you please tell me who the designer is for the last one.. number 18.its stunning! 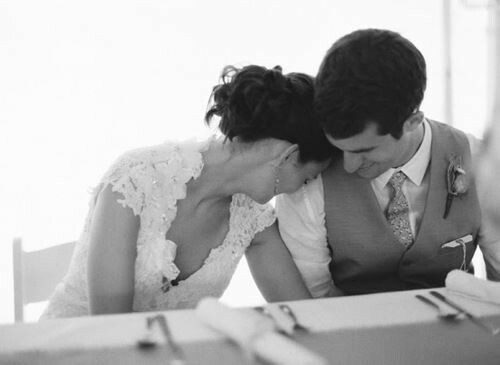 Have you found your wedding dress yet? I have a few suggestions. Bernadette, Karena Royale, Presca by Maggie Sottero. Kay's Bridal in Simi Valley, CA has all 3. Good luck in your search and congratulations on your engagement. Lil' Bit and Nan — I'm pretty sure I found one. But thank you so much for the suggestions!!! I'll check them out right away! I was thinking of a Maggie Sottero dress that is very similar to the Presca…I would tell you the name but my fiancé reads the blog. haha. I want it to be a surprise! Thanks for the dresses and the lovely wishes! Ur the best! What is the name/who designed #17? I absolutely love it!!!! Could you tell me where the 2nd to last dress is from??? the one with sleeves and jewels. Do you have any information on dress no.15?? Daniela, so sorry! I've been searching for an hour! I can't find the original source. I found this picture on Pinterest.com and it was listed as "uploaded by user". No information was traceable. 🙁 Bummer. I'll keep an eye out for you though! Beautiful dresses. Just as a note: if you do a similar post in the future – might be easier to list the sources in the post so readers can follow the links themselves. 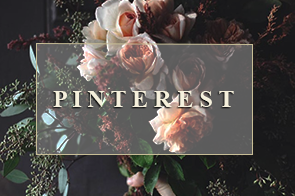 As for using Pinterest – it's a great resource but as you've found out, it's not always easy to track down original sources of images. Sorry, I don't mean to sound preachy I just work with alot of wedding bloggers and proper sourcing is something we strive to attain throughout the community. Best of luck with your search and all your planning. Duly noted. Thanks Jessica…I was thinking the same thing myself. I just made a second wedding dress post a few days ago and did exactly what you were suggesting. 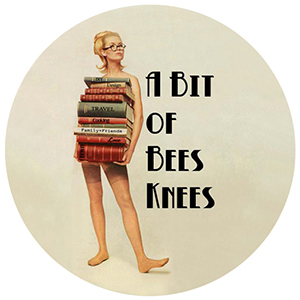 Thanks for the comment and thanks for checking out A Bit of Bees Knees. Who is the designer of dress 14 in the pictures? This may be the single most gorgeous collection of wedding dresses I've ever seen. Or, perhaps we just have identical taste ; ). As for which one to buy… It's about YOU and how you look/feel in the dress, not about the dress and you just happen to be the one wearing it. Without seeing each one on you (or knowing you personally), it's impossible to recommend one over another. The dresses are all gorgeous. Which one highlights YOU? Thanks for the kind words Liza! Guess what!? I found my dress last week! I put that baby on and right away I knew…this is the one! I just love everything about it. I would say that the Watters WTOO collection Style Natalia is the closest design to what I picked for myself. I really like the vintage lace look. I don't know if you've already identified it, but dress number 9 I believe is Allure Style 8764. I love that dress. Congrats on buying your dress! Thanks Mary! 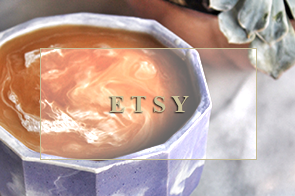 I just added the link! I'm getting married this November at the age of 20 so this was very helpful! Thankyou!!! I love lace so this gave me amazing ideas for dresses! Good luck with everything! I'm glad you like the post! Number 4 is Elato by Elie Saab for Pronovias! Hope that's some help for people! for those of you curious about picture #7..I contacted the woman who makes headpieces and the dress isn't a dress but a top from Forever 21! Crazy!!! !